Historically, the economy in the Middle East has been built on selling oil, with the countries there investing little capital in other sectors. Today, all that has changed. The price of oil has dropped and, in a world where environmental pressures mean global powers are determined to stop burning it as fuel, the price of oil is unlikely to ever recover. Thus, the oil-rich Middle Eastern countries have been forced to rethink and refocus and they are implementing broad economic strategies. Saudi Arabia has launched a wide-reaching social and economic initiative, Saudi Vision 2030, with an ambitious goal to develop the economy across industries that include technology, healthcare, tourism, education and finance. Because of Saudi Vision 2030, the Kingdom is experiencing rapid change in infrastructure, business and across society. As a business events destination, Saudi has its own characteristics, requirements and dynamics. The culture here – and across the Middle East – is very much about personal relationships. Business people expect to engage in small talk on a personal level before the true purpose of your business interests is raised. They want to know you on a personal level before business is discussed, which means face to face meetings and hospitality are an important aspect of doing business here. Saudi has ambitions to become a meetings and business events powerhouse. To achieve this, Saudi Vision 2030 includes momentous plans for socioeconomic reforms. All sectors in the Kingdom are following a three-step strategy designed to help them achieve their shared goals: reforms, increased productivity and enhanced competitiveness. Since the announcement of the reforms, the importance of the country’s MICE industry has multiplied significantly, and it has experienced a boom in the number of conferences and exhibitions it hosts. Saudi’s MICE industry grew by 16 percent in 2017 – around 4.5million attendees to over 10,000 business events. Saudi capital Riyadh counts for around 15% of the country’s tourism and almost half of all business events in the kingdom are held there. However, these figures are negligible compared to expectations for the future. 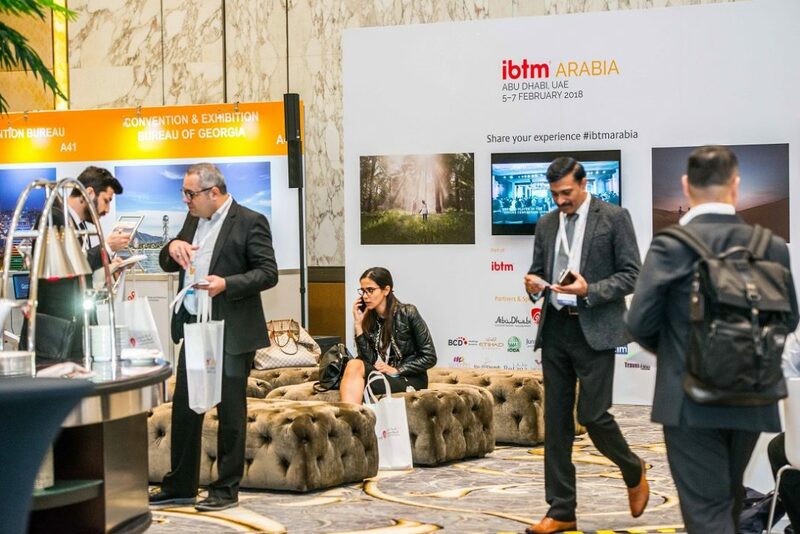 The meetings and events sector in Saudi is growing by leaps and bounds, so visitor numbers will keep increasing over the coming years, with a forecast of 30million visitors per year by 2030 – and Saudi is already preparing. The country is using its oil-wealth to invest in building technologically-advanced event facilities to cope with the predicted rise in visitor numbers. It will turn 50 Red Sea islands into luxury beach resorts. The Red Sea Project will be built between the cities of Amlaj and al-Wajh. Building work will begin toward the end of 2019 and the first phase will be completed in late 2022. The project will create a special economic zone in the Red Sea, with its own regulatory framework, visas on entry, relaxed social norms and improved business regulations. It is hoped this will deliver a world-class international tourism destination. Saudi’s Public Investment Fund (PIF), the country’s sovereign wealth fund, will make initial investments to build the resort and will seek partnerships with international investors and hoteliers. Saudi is also said to be building an entertainment city to rival Las Vegas, while making significant investments in road, rail and air infrastructure. To make event logistics easier for event planners, the country has privatised its previously state-owned aviation sector and is currently building more than 50 new four and five-star hotels – with a combined 11,000 bedrooms. In total, Saudi Arabia currently has over 140 ongoing hotel building projects that will add 55,810 bedrooms. To help fill those rooms, the Saudi Exhibition and Convention Bureau (SECB) has initiated “the Envoy Program”. It’s an initiative to recruit envoys in government agencies, associations, chambers and federations to help these bodies engage with international organisations and to discuss partnership opportunities, with the overall aim of attracting business events to the Kingdom. The Envoy Program forms part of the wider strategy and many other initiatives that the Saudi Arabian government is hoping will transform Saudi into a regional and global meeting hub. Be in no doubt, as the oil-money runs low, Saudi is burning hot on a new fuel. The Kingdom has fixed its fortunes on the power of tourism, business conferences, meetings and events and the rest of the world will watch on as amazing transformations take place.